SANFORD CENTER—The Bemidji State University Athletics Hall of Fame class of 2016-17 was honored at a luncheon Feb. 18 at the Sanford Center. BSU holds a hall of fame weekend every two years. 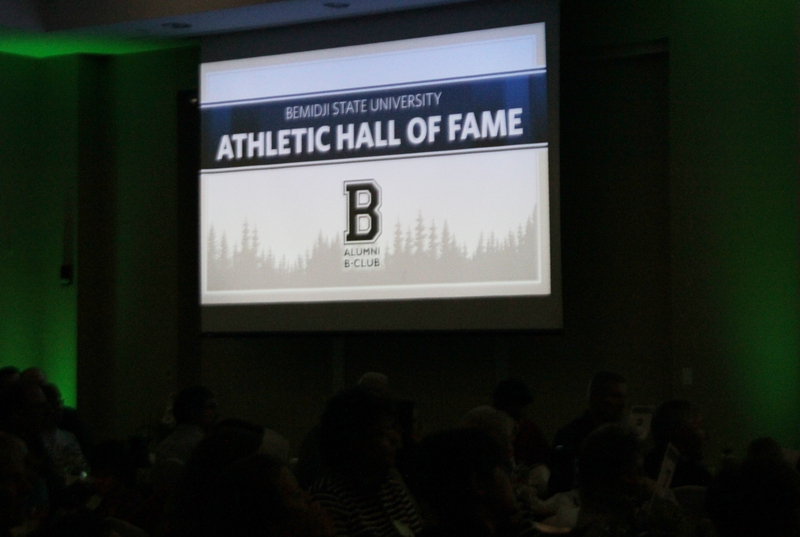 This year, there were nine inductees, including four athletes, two John Glas Honorary Award Letter winners, two BSU coaches and one team award. The team award went to the 1966-67 men’s basketball team which went 19-5 overall and became the third team in the history of the North Intercollegiate Conference (NIC) and the only team in BSU history to go undefeated, with a perfect 12-0 in conference play. The 1966-67 team had a strong senior class. With five seniors starting, they were well-seasoned and had a lot of playing time. 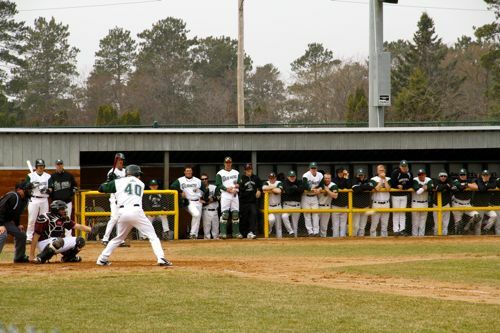 “I think the biggest thing is we all gelled well together as far as a team,” said Rettker. Another inductee, former men’s hockey player, William “Charlie” Scanlon, received a BSU Coaching Achievement Merit Award for years of experience in coaching and winning records. Scanlon coached the Apple Valley High School boys’ soccer and girls’ hockey teams. Scanlon led the AVHS boys’ soccer team to a perfect 9-0 record in state title games, making him the winningest coach in Minnesota high school soccer history. His teams won 17 section and 20 conference championships. About 180 people were at Saturday’s luncheon to congratulate the inductees on their achievements. Prior to the luncheon, the inductees were also announced during halftime at the women’s basketball game on Friday. Weekends like the Hall of Fame are not only meant to recognize the success of past Beavers, it is incentive to get alumni involved and back on campus.